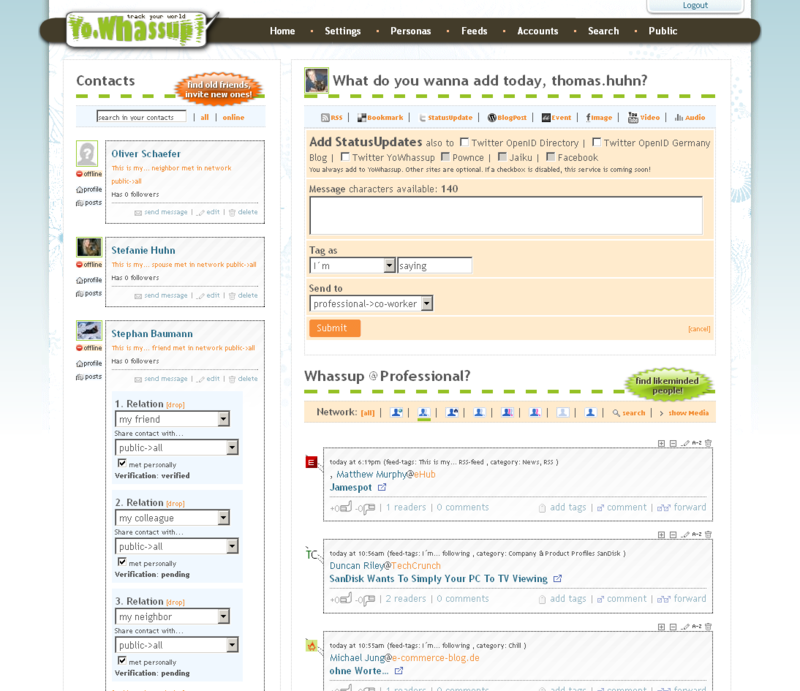 If you read my post “Lifestreaming named in top 10 future web trends” then you saw I mentioned Yowassup.com. Today I got a message via Pownce from Thomas Huhn who is the founder of the site. The message included a screenshot of the dashboard. I asked Thomas if I could share it with my readers and he agreed. It’s a very interesting image that provides some insight into features that we can expect from this service. The status update feature appears to allow the use of the service as a publishing platform for other services. So whereas most Lifestreaming services are primarily “read-only” with regards to the content, this service appears to offer some ‘write” abilities. I’m very much looking forward to test driving this service soon. Hard to judge the site based simply on that screenshot, but I can understand where you’re coming from. Simplicity / Clutterness of a Lifestreaming service will primarily be dictated by the feature set and functionality someone wants. That’s why there are so many players that offer so many flavors in this space.